“Jury found that the shooting was an accident. Nonetheless Trump repeatedly portrayed this as a vicious intentional murder (versus a tragic accident) in an effort to stir up bigotry against Mexicans,” she tweeted. Guilty or not, the “accident” that Powers describes involved several intentional acts of lawbreaking by Zarate. He entered the country illegally; he committed a drug crime that caused him to be incarcerated (after which he would have been deported if not for San Francisco’s “sanctuary city” policy); and he took a pistol that he allegedly “found” but which actually belonged to a federal Bureau of Land Management agent whose car had been burglarized. As for stirring up “bigotry,” Trump made clear throughout his presidential campaign that he was opposed to illegal aliens, not Mexicans as such. He even visited the president of Mexico, Enrique Peña Nieto, during the campaign. Others weighed in as well. One person told Powers that it was no accident Jose Garcia Zarate was in the city, despite having been deported five times. It wasn't an accident that SF allowed a illegal felon to freely walk the streets. Accident or not, had he been deported as ordered, she would likely be alive today. What if that were your daughter lady? The gun went off 3 THREE times and he threw it in the water yea an innocent person does that! You are part of the problem! Another Twitter user asked Powers if she supports the city releasing the shooter from jail instead of handing him over to federal authorities for deportation. Are you defending San Francisco releasing the shooter from jail instead of holding him for federal authorities? Steinle would be alive today had San Fran cooperated with federal authorities. Do you deny that? This is like finding a drunk driver innocent of killing someone because the car just went over the line accidently. Total injustice. I can bet a zillion dollars that most all Americans feel this is an injustice and this verdict will NOT help those fighting for illegal rights. Get a grip Powers. Trump has it right and America knows it! It was no accident, and you're no better than those hack lawyers using this as a political statement against Trump..a beautiful young AMERICAN WOMAN is dead at the hands of an ILLEGAL criminal that shouldn't have been here anyway!!! You're horrible. I'm pro legal immigration and I'm even for expanding legal status where it makes sense (like DACA recipients), BUT… I have no freaking clue how you don't get so much as an involuntary manslaughter charge out of this case. Pure San Francisco values insanity. A beautiful young woman shot to death by an#IllegalAlien with a stolen gun. Powers, by the way, isn’t the only one to use the verdict to attack Trump. @KirstenPowers officially kicks off Trumps re-election campaign. Trump just won 2020… most if Not All Of us Trump supporters will NEVER support a Democrat again. You AntiAmerican Flag Burning Commies. An innocent young woman was killed by an illegal. To downplay this suggests you have blood on your hands. Zarate, by the way, is a seven-time felon who has been deported multiple times. Although he was found guilty of a weapons charge, federal authorities are looking to deport him again. Which means there may very well be more “tragic accidents” take place in the Golden State. 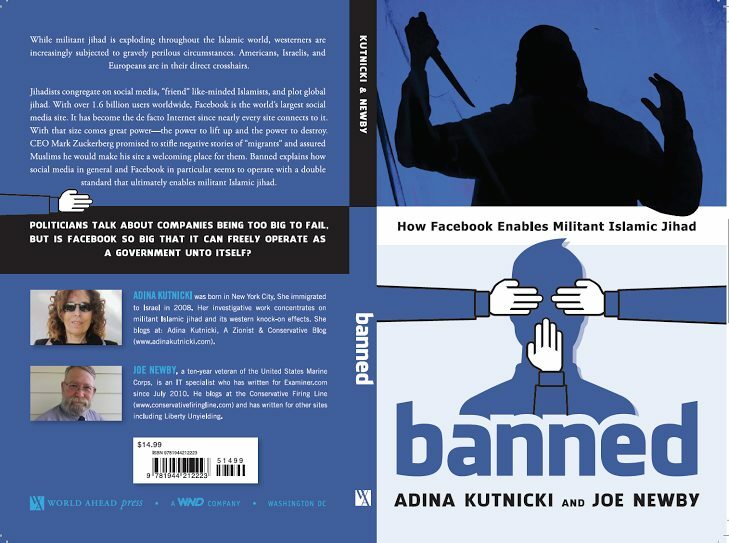 And if you’re as concerned about online censorship as we are, go here and order this book (Now available at a ten percent discount. Only 11 copies left at this price right now…). Next articleIslam’s American Spear; Sharia Law – Its Inroads & Eventual Triumph, If NOT Halted. Listen Up! !